The perfect location for your UK holiday on the east coast. 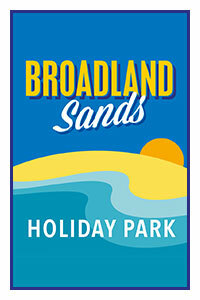 Interested in visiting Broadland Sands Holiday Park to find out more? Please note that some park improvement development work is currently underway at Broadland Sands Holiday Park, and may cause some small disruption. 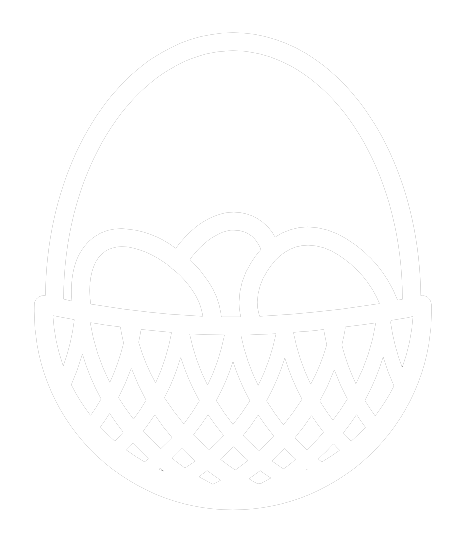 We will do our very best to ensure that any inconvenience to guests is minimal, and expect to have work completed by 30th April 2019. Broadland Sands, between Great Yarmouth and Lowestoft is in the perfect location for your holiday, and right on the border between Norfolk and Suffolk. Situated on the beautiful east coast, you are in the perfect spot to do some exploring in both counties! There is a great selection of facilities on the park, including, a spectacular new indoor pool with 45-metre flume and paddling pool and a roarsome dinosaur-themed adventure golf course (now open) a family entertainment venue, a sports bar and lounge, plus a restaurant and takeaway. Of course, if you do decide to leave the park, you will be spoilt for choice with the local area. Why not visit the nearby Lowestoft beach which boasts two piers with great pubs, cafes, picturesque gardens and amusements? Or maybe lose all concept of time taking in the majestic scenery of the Norfolk Broads? Whatever you choose, we know that you will love Broadland Sands Holiday Park and all that it has to offer. We look forward to welcoming you soon! For a touch of extra comfort why not explore our luxury lodges range? The ultimate in Park Holidays UK accommodation, our range of prime location lodges offer innovative roomy design and luxurious fixtures and fittings, perfect for holiday living. Take a ride on the log flume, enjoy family fun in the Kiddie Zone or enjoy shows with the sea lions. The charity’s largest visitor centre and currently home to almost 120 horses, ponies, donkeys, and mules. The Pleasure Beach offers huge family fun and full-throttle white knuckle rides to exhilarate and thrill. Visit the award-winning gardens, streams, waterfalls and discover the miniature wonders of Merrivale! Get closer than ever before to the creatures and features of the world’s oceans at Sea Life. 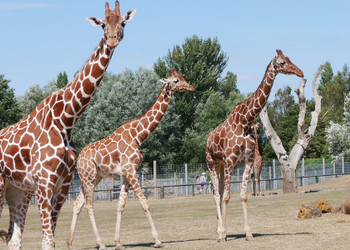 Explore the sights and sounds of Africa and discover lions, giraffes, meerkats, hunting dogs and many more animals from the African continent! Exciting park developments mean that the existing pool facilities have been converted into a new indoor swimming pool complex with fun-time flume. An indoor pool at Broadland Sands means that you and the family can enjoy a swim or splash any time of the year, whatever the weather. The pool area will also include an incorporated changing room area and additional facilities. The new park upgrades are now complete and ready for holiday guests and owners to enjoy. We are delighted to announce the launch of our brand new Dino Adventure Golf course! Now we're just waiting for a future Tiger Wood to show his/her face! If you're looking for some fresh air fun, and a bit of friendly competition, this is a great way to spend some time. Putters and balls are available from the reception area. In our ongoing commitment to making your holiday even more enjoyable, we are adding a host of extra entertainment facilities at Broadland Sands. Exciting facilities being added to the park include a Climbing Wall, a Pottery Station and a Crazy Golf course. The new park upgrades are expected to be ready for holiday guests and owners to enjoy from summertime 2019. † Please note that the climbing wall is scheduled to open in Summer 2019 and What’s On facilities for 2019 may differ from that listed above. * Additional charges apply.